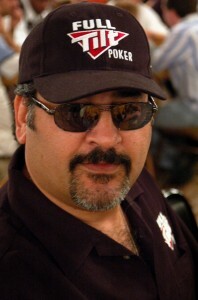 Longtime poker pro Amir Vahedi, best known for his final table appearance in the 2003 World Series of Poker, where he finished in 6th place after coming to the final table as one of the odds-on favorites, passed away on January 8th from complications with diabetes. Vahedi, one of the most likeable players in the poker world was one of the frontrunners to today’s loose/aggressive style of play in the poker world, most evident in his daring bluff in the 2003 WSOP that sent him to the rail. Vahedi was part of a wave of Iranian poker pros that burst upon the poker scene in the 80’s and 90’s, and Amir was one of the most successful: The poker world will sorely miss Amir’s bigger than life personality, huge smile, and trademark cigar –which has been unlit in recent years. This entry was posted on Tuesday, January 12th, 2010 at 3:25 pm and is filed under Poker News. You can follow any responses to this entry through the RSS 2.0 feed. You can leave a response, or trackback from your own site.